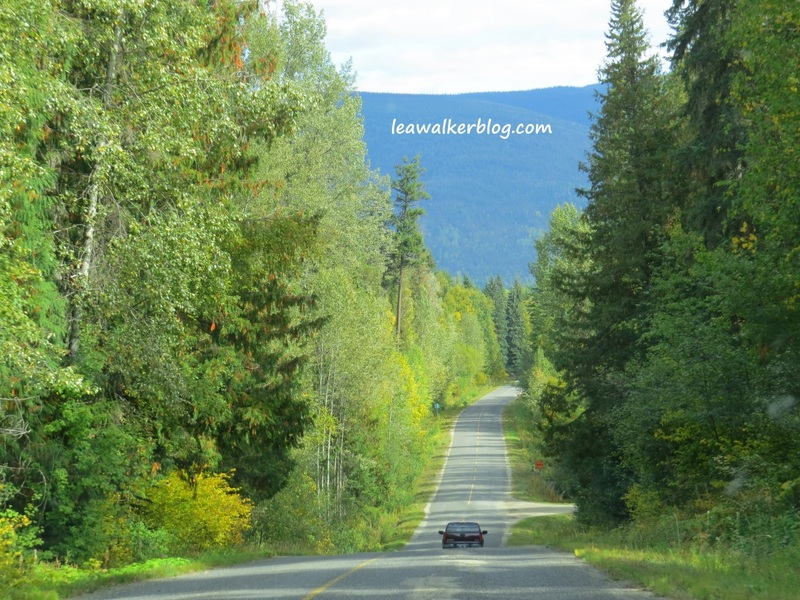 From Vancouver, we drove towards Wells Gray Park in Clearwater, British Columbia for about 6 hours. 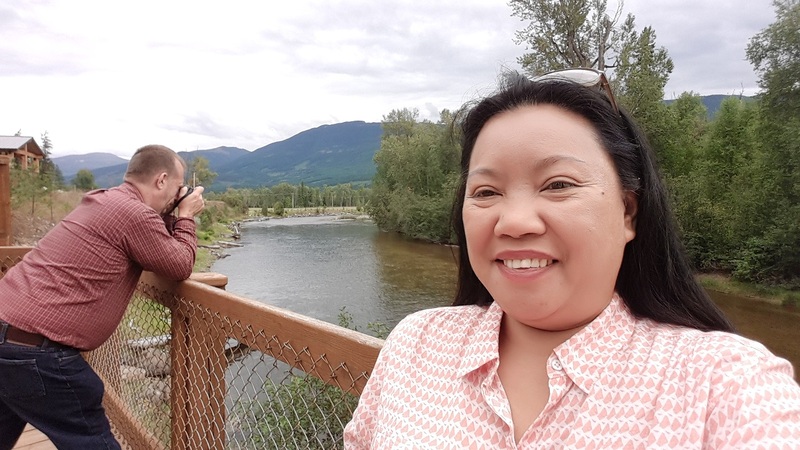 The driving distance was 476 kms (299 miles) through Highway 5 in Canada, passing by the cities of Abbotsford and Kamloops. I will be writing about the road trip itself soon. 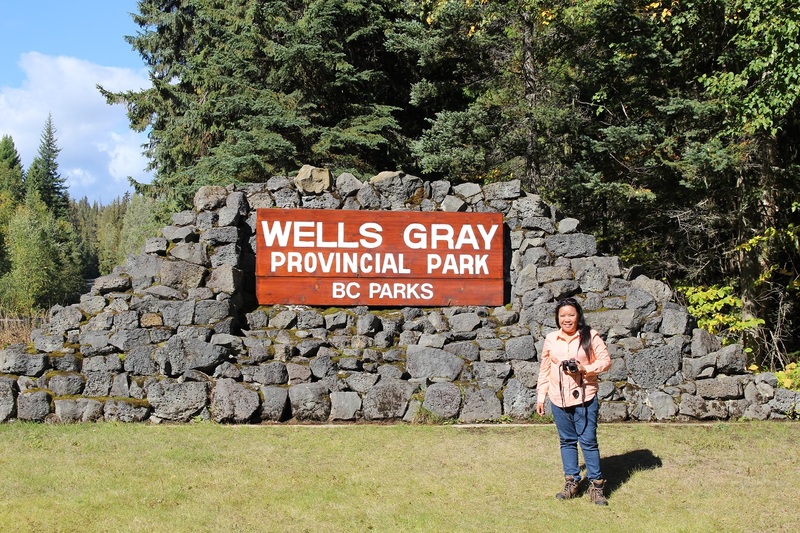 But for now, I would like to share about Wells Gray Park which I found really beautiful and peaceful. 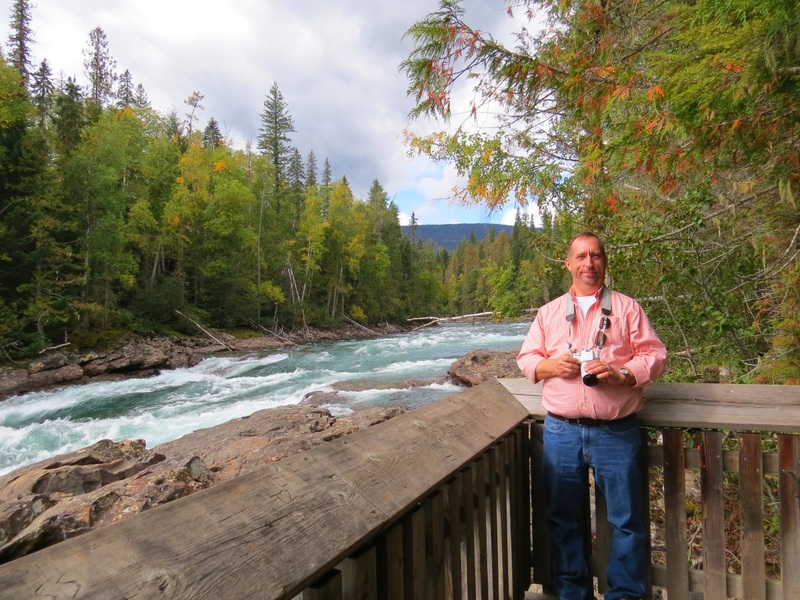 The park is composed of 1.3 million acres ( 524,990 hectares) of forest filled with mostly evergreens. It is strictly protected by the government. Therefore, it is untamed and is well kept from commercialization. I commend the Canadian Park Services for a job well done. I love how this natural environment has remained untouched by civilization, giving the animals ample space to roam around freely without fear of abuse from humans. 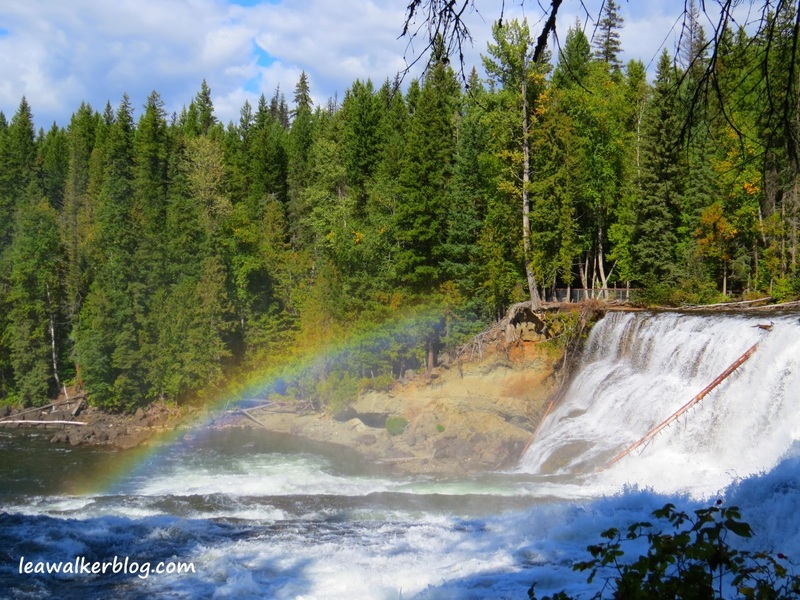 This park is the main reason of our British Columbia road trip. I wanted to see the “salmon jump”. 🙂 I know, I am weird. ha ha .. 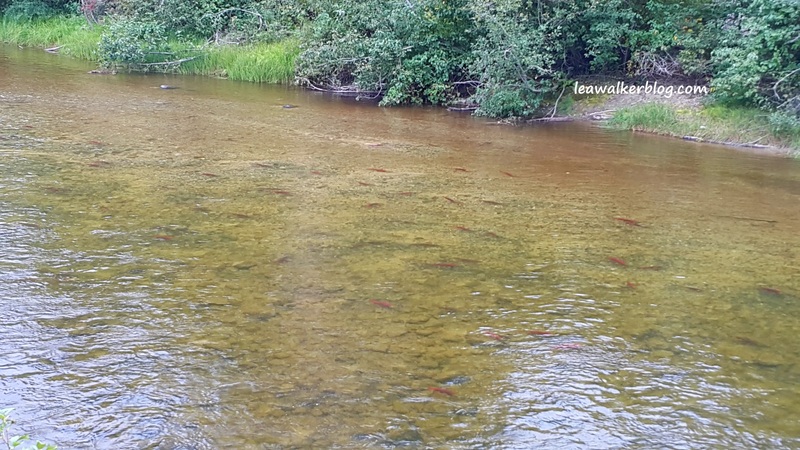 But for someone who love to fish, seeing these wild fishes jump and then travel, from their present habitat to where they were born is amazing. 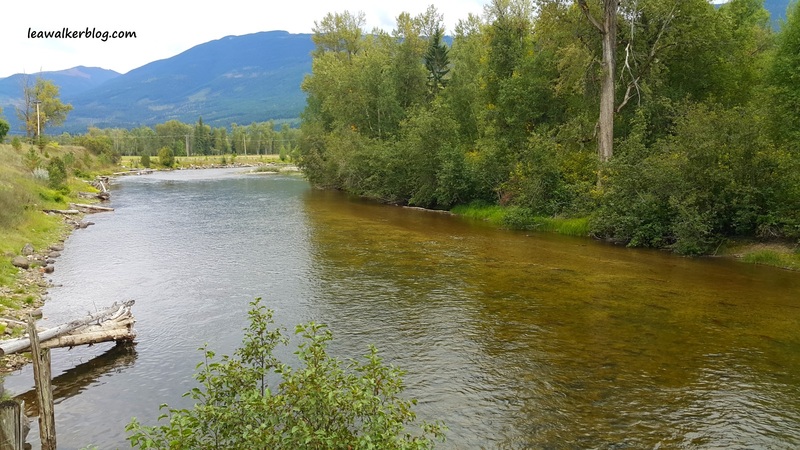 Some salmon, travel at least 3000 kms to spawn at the exact location they were born at. I find it so interesting that they remember where they came from. And make sure that they get there to lay eggs before they die. We arrived in Clearwater around 4pm. 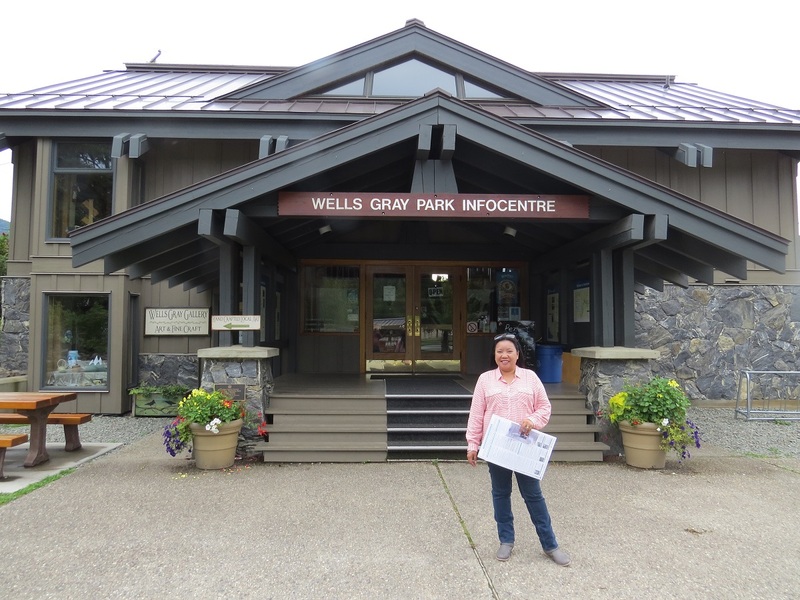 After checking in at the resort, we went to the Wells Gray Visitor Center to get some maps and ask for details as to where we can see the salmons. 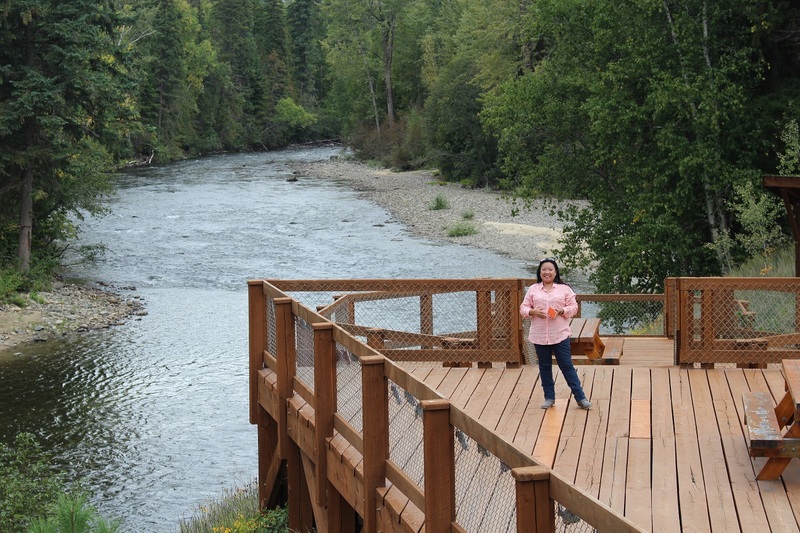 We were told that they are already in town and that they have a view deck nearby for people to watch the salmon spawn. So off we went and checked the place out. These salmons change to red colors when they are about to die. Remember they traveled far to be able to come back to this place, where they were originally born. 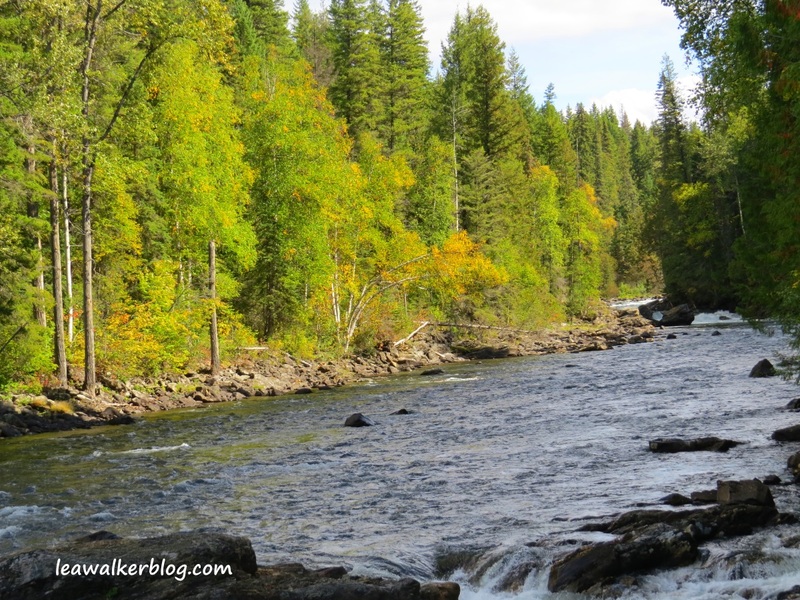 The next day, we followed the map and visited several water falls. 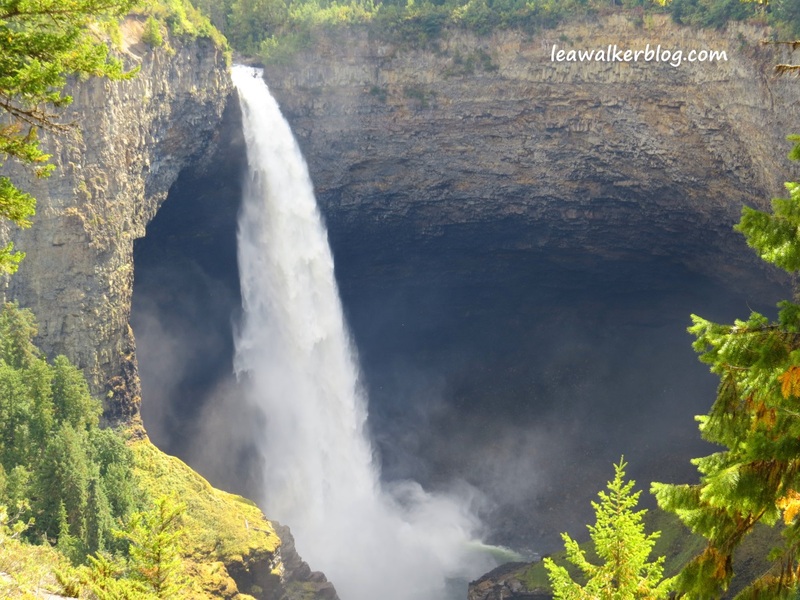 The park is most famous for the following: Helmcken Falls. 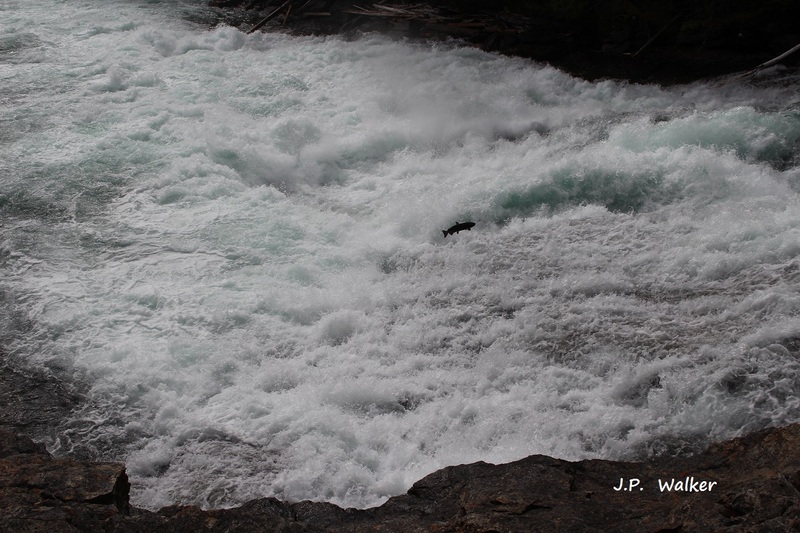 Dawson Water Falls. 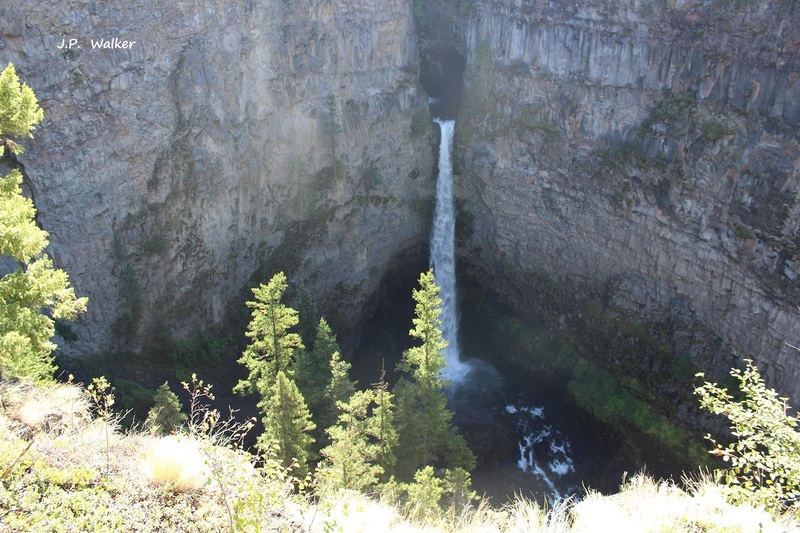 Spahats Falls. 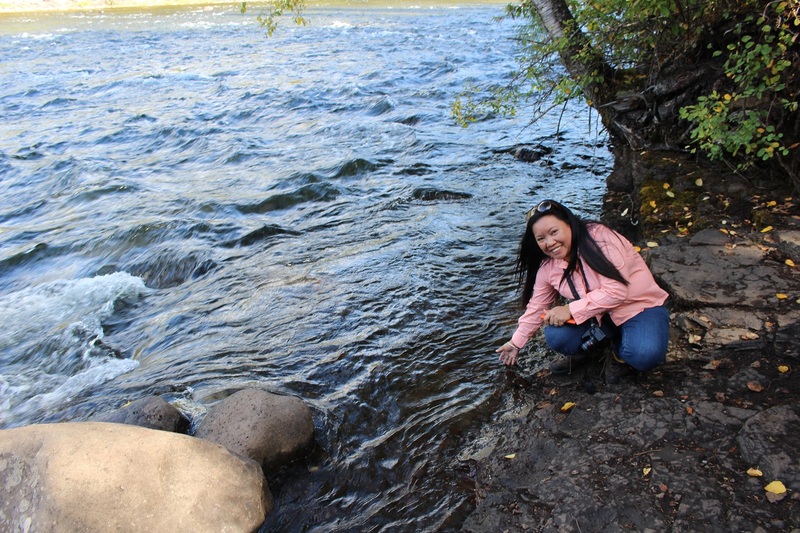 And Bailey’s Chute, where the salmons jump. This waterfalls is only a few steps away from the parking area. There are picnic tables and benches, so you can bring food and eat there. 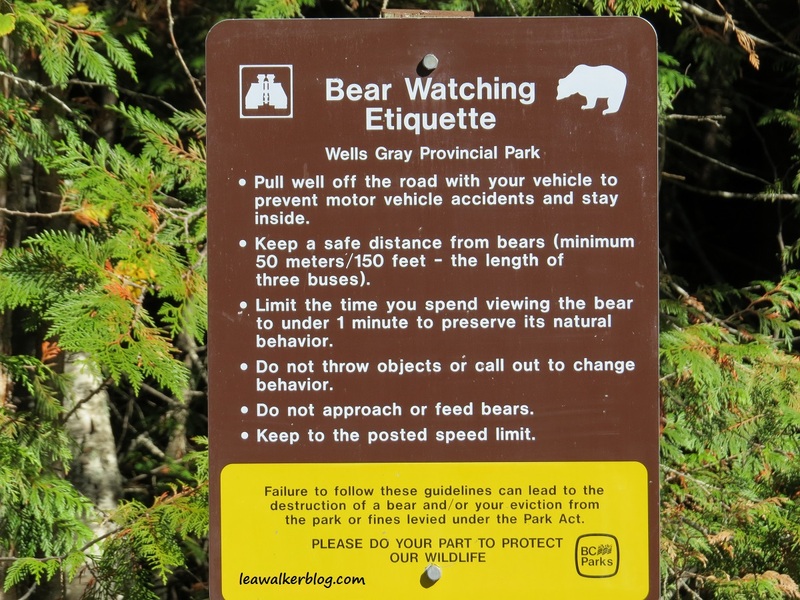 Just be sure to keep your left overs and throw the garbage in designated areas to avoid bear attacks. Remember, you are sharing this park with all the animals in the area. That said, it is our responsibility to protect ourselves from any danger. 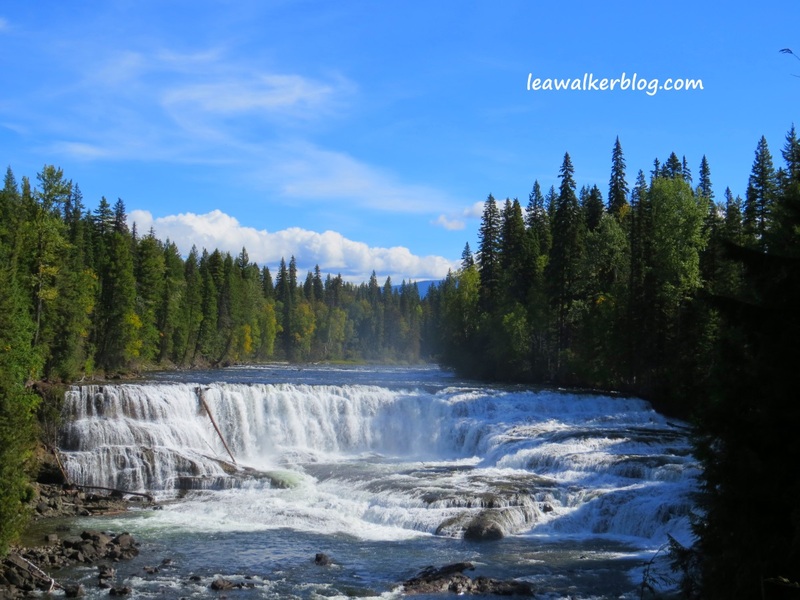 The most beautiful waterfalls for me at the Wells Gray Park was DAWSON FALLS. We had to walk about 20 minutes to get there. Made sure that we were noisy to inform the bears that we are there. We didn’t want a nearby encounter , much as I wanted to see them. haha.. Seriously though, the current was so strong it sounded like thunder. 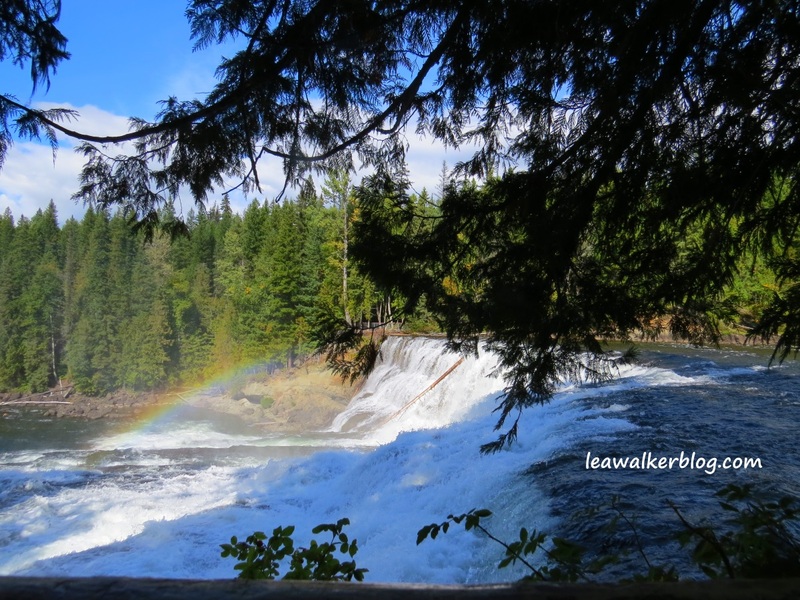 There is an overlook where you can see the falls from a distance. But if you continue with the trails, there is another view deck where you can stand beside it. After the waterfalls viewing, we proceeded to Bailey’s Chute. 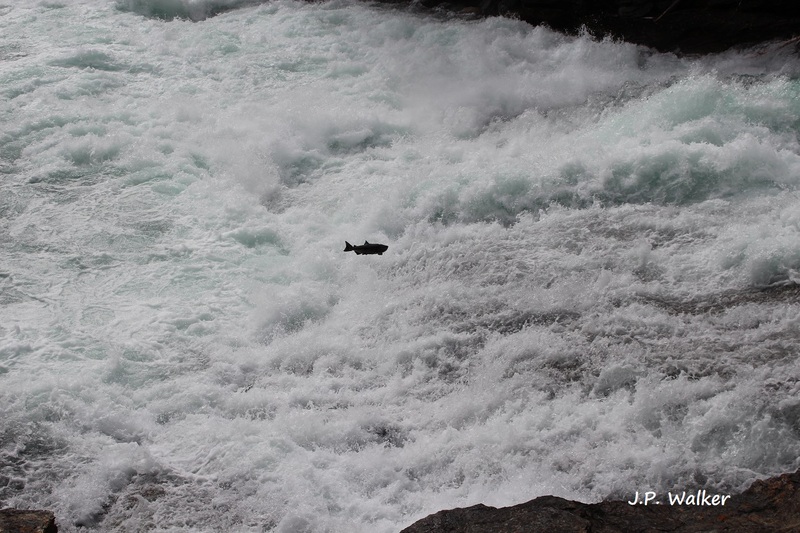 I have a video of the salmon jumps. But I am still trying to figure out how to incorporate it here. haha.. So in the meantime, I am borrowing the hubby’s photo of the fish jumping. 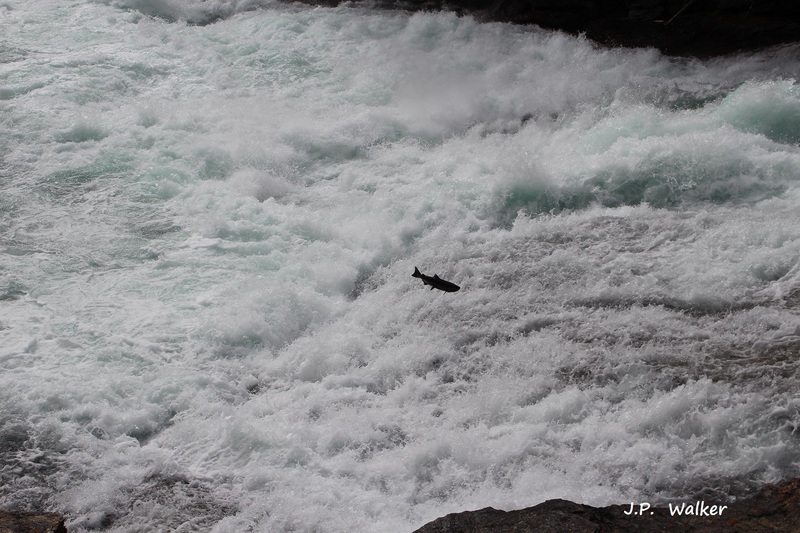 I find this so awesome because these salmons jump against the current of the river. And Bailey’s Chute is at least half a meter high. 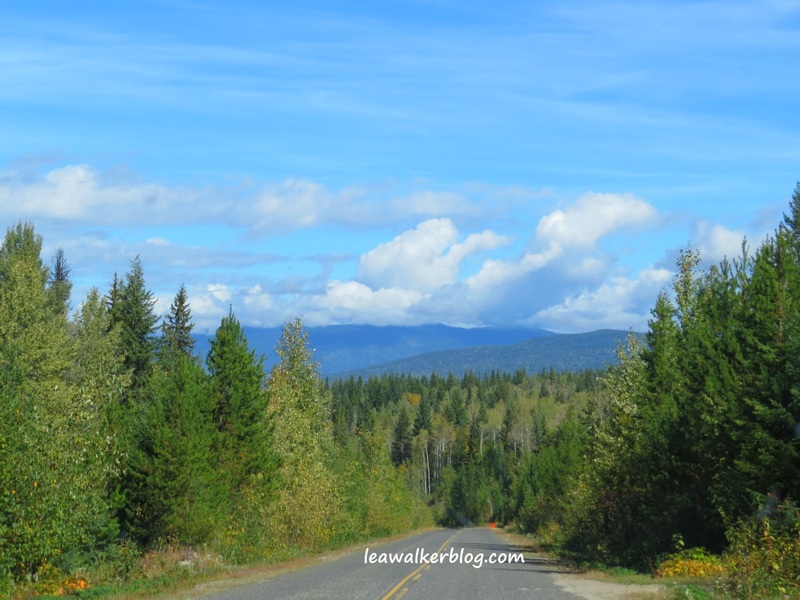 If you are in Canada, include British Columbia in your list. 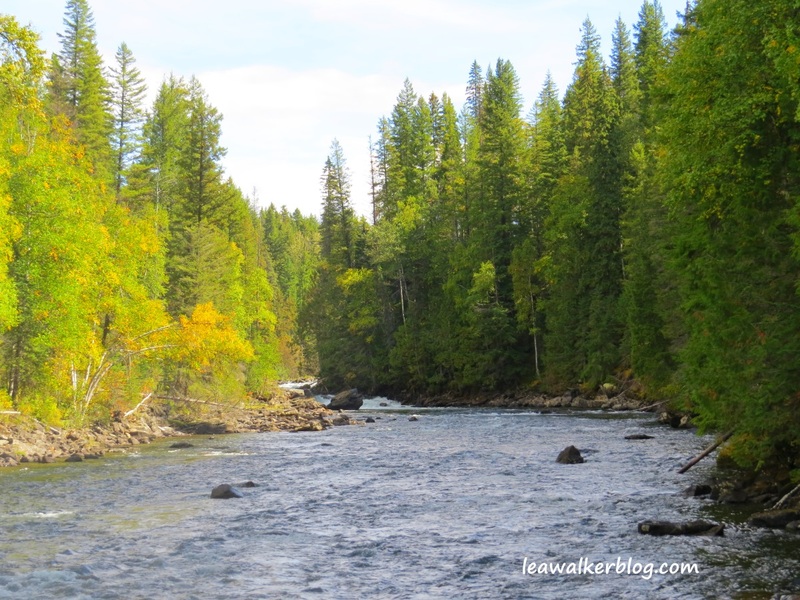 Specially Wells Gray Park. You will not regret it. And if you go there, I urge you to please follow the rules. It would be so sad when the park rangers will need to kill the bears because we did not respect the fact that the forest is their home. We are their visitors. Hence, it is up to us to tread on their grounds with respect.